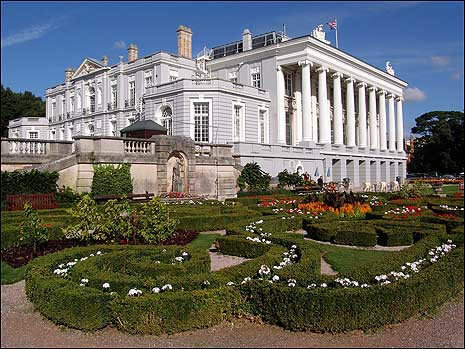 Across the English Riviera you will find many locations linked with Agatha's life and works. Many are easily accessible or open to the public and all combine to make a visit to the home of the Queen of Crime a must for all fans. The Agatha Christie Mile was established in 1990, her centenary year, and marks 11 specific locations along a one mile route around Torquay seafront, each marked by a centenary plaque. It was here at the Four Star Grand Hotel that Agatha and Archie Miller spent their honeymoon night after their wedding in Bristol on Christmas Eve 1914. Two days later Agatha travelled up to London with her new husband and waved him goodbye as he set off for war in France. It was to be 6 months before they would see each other again and nearly four years before their married life could really begin. The Grand Hotel now has an Agatha Christie Suite. The hotel's popular restaurant and bar have fine sea views and are well worth a stop on your tour of the Agatha Christie Mile. The Agatha Christie Exhibition at Torquay Museum includes a delightful image of Agatha as a young lady in her fine, feathered hat enjoying roller-skating along the pier with her friends. Skating on the pier cost tuppence and was a noisy and bumpy affair but incredibly popular! Opened in 1894, the -->Princess Gardens were built to a classic Victorian design with an ornate fountain, rich flower beds and of course the famous Torbay Palms imported from New Zealand. Agatha was doubtless a frequent visitor to the gardens and they featured in the ABC murders. This elegant building was opened in 1912 as a grand concert hall. Agatha had a great love of music and attended many concerts here. In early 1913 she enjoyed a Wagnerian concert with Archie Christie, who she later married. 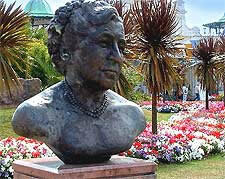 This bust was crafted and erected in Agatha Christie's centenary year and is the only one anywhere in the world. It was unveiled by her daughter, Mrs Rosalind Hicks and is the work of Dutch sculptor Carol Van Den Boom-Cairns. The Agatha Christie shop is immediately adjacent to the bust and stocks a wide range of Agatha Christie books and DVDs available. Always at the heart of Torquay this busy thoroughfare was a popular meeting place in Agatha's day. Young Agatha would have shopped here with her mother at the exclusive department store William and Cox, now Hoopers. 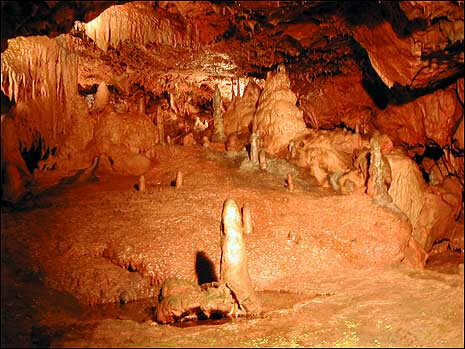 Agatha's father was a Fellow of the prestigious Torquay Natural History Society, which managed the original collections of the museum, many excavated from Kents Cavern. In 1990 the museum established the Agatha Christie Exhibition with the help of the Christie Family. It contains many previously unseen images of the Queen of Crime and provides a fascinating insight into her life and her works. Torbay boasts some of the finest sailing waters around the UK and includes in its rich maritime history the first modern day tall ships race and the 1947 Olympic watersports. In her autobiography Agatha talks fondly of the club, of which her father Frederick was a prominent member. He would visit the yacht club daily to play cards, read the newspapers and chat with friends; a routine that would change in the summer months when he would devote his time to his role as President of the Torquay Cricket Club. At the turn of the century, Beacon Cove was known as the Ladies' Bathing Cove although the men of the Royal Torbay Yacht Club were regularly seen at the club window, hoping for a glimpse of the female bathers! As a teenager Agatha got in to difficulty whilst swimming out from the cove and was spotted by a boatman who helped her from the water and returned her to the cove. The Cove is accessed by a footpath behind Living Coasts and is now a quiet and peaceful place from where to watch the sea birds preening on nearby rocks. In the opening chapter of Peril at End House the Imperial Hotel (renamed the Majestic), is described by Hastings as...."In its own grounds on the headland overlooking the sea. The gardens of the hotel lay below us freely interspersed with palm treed. The sea was of a deep and lovely blue." The terrace of the hotel is also the setting for the final chapter of 'Sleeping Murder', Miss Marple's final mystery. Agatha attended many social occasions here and the hotel still reflects the elegance and grandeur of that period. Experience the ambience and elegance with a delicious afternoon tea served in the Palm Lounge and enjoy panoramic views over the Bay. Across the area there are many more places to visit as you follow in the footsteps of Agatha Christie. Agatha's father was a fellow of the Natural History Society and helped finance the excavations. Kents Cavern appears as Hempsley Cavern in 'The Man in the Brown Suit', published in 1924, several years before her own interest in archaeology was stimulated by a trip to the Middle East. Marple and Poirot never met in any of the Christie books but in 1990, in celebration of the writer's centenary, the two actors known best for representing Marple and Poirot, Joan Hickson and David Suchet, met at Torquay Station. Miss Marple held out her hand and, in his unique style, Poirot raised it to his lips and kissed it to the delight of the watching crowd. During WW1, the town hall was used as a Red Cross Hospital and when Agatha joined the Voluntary Aid Detachment she worked here as a nurse. In 1915 she transferred to the dispensary where she acquired her knowledge of poisons, which later proved such an integral part of her writing. The public can visit the foyer of the Town Hall which is open during normal office hours. Agatha was baptised at All Saints Church and regularly attended Sunday services. Her father made a financial donation to the church and ensured that Agatha was entered in the records as a founder member. Visitors are welcome and guided tours are available on request. Agatha enjoyed riding through Cockington estate. Visitors today can take a horse and carriage ride through hidden gardens and along the grand driveway to Cockington Court. In the 1900s, Cockington Court was home to the Mallocks, friends of the Miller family. Amateur theatricals were often organised and Agatha was encouraged to take part in the open air dramatics on the lawns in front of the house! Cockington Court and Country Park are open all year round. Built in 1874 for Isaac Singer, creator of the famous sewing machine, Agatha came to this magnificent mansion to attend social dances that were held in the lavish ballroom. Oldway mansion is open to the public and includes a free exhibition of the Singer family and the history of the house. Agatha was a frequent visitor to this pretty village, nestled between Paignton and Brixham, near to her summer residence at Greenway. She attended St Mary the Virgin Church, which she later helped by endowing the beautiful stained glass east window. After church Agatha would often take lunch at Churston Court with Lord and Lady Churston. The Manor is now a period Inn with a popular bar and restaurant. Agatha loved train travel. Her journey on the Orient Express to Baghdad was to inspire her 1934 novel. Hercule Poirot arrived at Churston Station (named as Nassecombe Station) to join the mystery in 'Dead Man's Folly'. The station also appears in 'The ABC Murders'. This steam railway route provides an ideal car free route to Greenway with beautiful footpaths from the station to the house (2 miles). Greenway is a beautiful country house with a woodland garden on the banks of the River Dart. 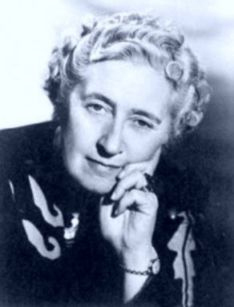 Of all its well-known owners it is Agatha Christie who is best known to visitors. She bought the estate in 1938 and used it as her summer residence until her death in 1976. Greenway was given to the National Trust by Agatha's daughter and family in 1999. The glorious gardens were opened to the public in 2004 and the trust is now restoring the house and cataloguing the many personal collections inside. The house is expected to open to the public in 2009.